Home information packs (Hips) will be required for all properties being sold in England and Wales from 14 December, the government has announced. Since September, all properties with three or more bedrooms have required a Hip before they can be sold. The packs have proved controversial, with many critics claiming that they have made it more difficult and expensive to sell property. The government insists the packs are bringing benefits to consumers. The average cost of a Hip is between £300 and £350. Housing Minister Yvette Cooper said the roll-out of Hips would help first-time buyers by providing them with more information. Energy performance certificates (EPCs) will give homes an efficiency rating of A - G.
Buyers whose homes score badly will receive extra help from the new Green Homes Service announced this week by the prime minister. "Hips and EPCs are already helping consumers to save hundreds of pounds off their fuel bills and are cutting search costs too," said Ms Cooper. "All home buyers will be able to benefit from energy efficiency advice, with those receiving low green ratings of 'F' and 'G' especially targeted for support and grants," she added. For the Conservatives, shadow housing minister Grant Shapps criticsed the decision, saying it would make buying and selling houses "more costly and bureaucratic". "This latest move will dismay hard-working families, because it increases instability in an already fragile market," he said. "Rather than burdening people with yet more red tape, Gordon Brown should have the courage to abolish what is widely regarded as a flawed and ineffective law." The decision to extend Hips to all properties follows an independent review carried out by Europe Economics. This found "no evidence of any impact on transactions or prices" beyond a "predicted" and "marginal" short-term impact on new listings. The report also concluded that any delay to the planned roll-out due to "changing housing market conditions" would cause "greater market difficulties and uncertainties". But the government acknowledges the owners of leasehold properties have faced difficulties. In some cases it has been difficult to obtain leasehold documents quickly, and "disproportionate charges" have on occasion been requested. At the moment sellers must commission a Hip before they can put their property on the market, but have a 28-day window for it to be finalised. The government has now said it will extend for six months the current exemption which lets leasehold documents be provided after the 28-day deadline. It will also delay the introduction of new rules meaning a property cannot be put on the market until the Hip has been completed. This change had been due to take effect on 1 January 2008, but will now not apply until 1 June 2008. The government's decision to extend Hips has been criticised by the Royal Institution of Chartered Surveyors (Rics). Rics and the National Association of Estate Agents (NAEA) believe the introduction of Hips has already reduced the number of larger properties on the market. Rics housing spokesman Jeremy Leaf argues widening the scope of the scheme will have a negative effect on those people trying to get onto the property ladder. "Rolling Hips out to one and two-bed properties could find first-time buyers caught between a rock and a hard place as accessibility to the market would go off the scale," he said. "If the Housing Minister genuinely wants to improve the plight of first-time buyers, she should not continue with this flawed policy," he added. But the extension has been welcomed by the Association of Hip Providers (AHIPP). "The independent research by Europe Economics dispels suggestions by RICS and NAEA that Hips are having a detrimental impact on the market place," said AHIPP deputy director general Paul Broadhead. "Hips are here to stay. We can now build upon this foundation and really revolutionise the market for the benefit of the consumer and the industry," he added. I have just received the Hip for the property i am selling and am very disappointed. It is 61 pages long and provides nothing which the conveyancers searches would not provide. The majority of the report consists of terms and conditions and disclaimers. It is a waste of money and just adds more costs and regulation to an already expensive process. Why is the government creating problems when there isn't one? I spent 8 months last year trying to complete the purchase of a flat in London, only to find time that the seller had split the property into two flats without planning permission. During the course of the 8 months I spent £800 on surveys and solicitors fees. Hips are already way overdue, and cost the owner very little in comparison to the money they're likely to make on selling their property. We demand guarantees from everything else we buy, why not houses? Originally I was very anti HIPS, I then 'bought' a house and had a survey done at a cost of £450 only to have the seller withdraw when he was asked to buy a HIPS. He was clearly just testing the market at my expense, if he had needed a HIP before he could put his house on the market I believe he would not have done so and I would not have lost £450. I am now in favour of HIPs since they do act as a disincentive to these types of people. Home owners have to go to all this additional work for buyers (which I actually do agree with and consider to be beneficial) and yet buyers can still agree to purchase a property without actually already having a mortgage agreed in principle - and in some cases have to pull out of purchasing a property weeks down the line?? As an estate agent that has seen these changes implemented they do seem to be a complete waste of time - we haven't had a single instance of a buyer requesting to see a HIPs before putting in an offer on a property and most solicitors seem to be requesting their own searches regardless of what we send them. Sounds to me like there is some bad news burying going on here in light of recent crises. people in the East Kent region will have struggled to even see a HIP as South East Water have not been able to provide their part of the packs yet. How does showing a first time buyer an energy performance certificate help them? as they would still have seen everything else contained in a HIP. Of course Rics and NAEA say that hips are bad - it takes away from the profit they make, as they cannot lie to the buyers! Of course the AHIPP are happy, they will have information, which is great to use in bargaining down the estate agents! In the end, it is the buyers who will cover the cost of the hips, so the Rics and NAEA should stop their whinging and work a little, like the first time buyers do who can barely afford the prices as it is! As an Estate Agent having had to deal with HIP`s on 3 & 4 bed houses, everyone I have spoken to have confirmed what a complete waste of time and money HIPs are...they are totally worthless. The only good part is the EPC (Energy Performance Certificate). If it wasnt so serious this would be a joke! HIPS are, in my view, a waste of money. They cause duplication of effort because Buyers' solicitors simply repeat the same searches - and charge again. Older properties cannot comply with thermal insulation etc, why pay to find out the obvious? Time & Time again this government just ploughs on with ill thought out ideas and refuses to listen to the masses who think that HIPs are a complete waste of time and money. This latest action will simply serve to put more and more people off buying & selling property which is the last thing that is needed given the current state of the property market and a slowing economy. I just had to have a HIPS done on the property I am selling, and it basically isn't worth the paper it's written on, let alone the £350 it cost to have done. It said everything in my property is "average", except the lighting which was "excellent" due to having energy efficient bulbs. Do we really need to pay all that for a report of nothing but obvious statements that any average person could see for themselves or that a surveyor would note anyway? Every estate agent i've met seems to think they're an expensive waste of time and I absolutely agree. Lucky for me my estate agent has paid for mine, but the whole thing is complete and utter rubbish. As a practising estate agent and a member of the NAEA I am absolutely flabbergasted that the government have decided to introduce HIPS to all properties. Since the introduction of HIPS on all 3 & 4 bedroom properties not one person has asked to see the HIP, and most solicitors we deal with will not accept the searches provided with the HIP and are encouraging their clients to pay for new ones. HIPS do not benefit anyone apart from the HIP providers themselves who make large amounts of money off the back of them as well as the government who are able to charge VAT. This is not a solution to help first time buyers and will only assist in the already worrying slowdown in the UK housing market. Congratulations Yvette Cooper you may have just sent the UK housing market into a devastating nose dive and sealed the governments fate. This move is an unwise step of additional costs considering all the other indicators in the current property market - 1 - interest rates 2 - inflation 3 - rising repossesions 4 - increasing personal debt 5 - slowing property price growth in London and in some UK locations price decline. 6 - global economic slowdown. By introducing yet another 'tax' into this market you are suppressing the incentive to sell even further and encourage a 'wait and see' attitude. The only 'get out jail free' then would be to slash interest rates or change the stamp duty thresholds encouraging a bit more 'trading up' on property. There is already a two month back-log with drainage searches down here. Management questionnaires take weeks to answer. Lenders are likely to ignore the Pack. The whole thing is ill-conceived and impracticable...a waste of an opportunity to save paper and be more eco-friendly. I work as an estate agent and I can confirm that these hips reports haven't benefited anybody, it would appear that buyers just aren't interested, in addition the buyers solicitors don't use the packs during the conveyancing process making them pointless. For Paul Broadhead to say they revolutionise the market is a joke, what planet is he on!! They are a punitive and expensive waste of money. What also irritates me is the governments refusal to listen to people in the industry. If these packs really helped the property market why wouldn't we support them?? I work within the industry and the only group that seems in favour of HIPPS are the HIPP providers and the government. Every other member of the Buying and Selling production line has been vehemently against these packs from the very start. They will punish the smaller home owners and make properties even harder to come by. The legislation was rushed through as proven by the delayed launch dates... and is still a long way from being satisfactory. And yet every speech that comes from the government states how well the packs are doing with isolated problems. Well in Brighton & Hove there are not isoloated problems there is widespread outrage!!!! I cannot believe Yvette Cooper continues to ignore the advice of the true professionals but instead believes the HIP providers who quite obviously suggest HIPS are the best thing since sliced bread. Of course the HIP providers do because they are making money out of this fiasco at the cost of those trying to sell their homes. When will this idiot Yvette Cooper admit that she has wasted £20 million of tax payers money to date and is continuing to cause major problems to a market she clearly knows nothing about. From an Estate Agent who has been practising longer than Cooperwoman has been in Government. What would be far more helpful was if the VENDOR was to supply a survey with their property so any prospective purchaser would know what is required with the property before agreeing to a purchase and then finding all potential problems the property holds when the PURCHASER has a survey generated themselves. I have just put my home on thh market and will have to pay £390 plus VAT for a document that my estate agent tells me is never read by anyone. When I buy another property I wont rely on the HIP. It's someone else's document and no one should ever rely on someone else's document. My lawyer will do the necessary searches for me and my mortgage company. This is a classic case of Labour, who know nothing about business interfering and in the process adding cost and time to transactions where there is no need. Working within a estate agency, out of two hundred properties with hips, only two requests have been made to view the hip pack. Both purchasers looked through the packs within our offices, with both commenting they understood hardly anything in the packs, laughed at comments to do with Lightbulbs and recommendations to do with solar panels, which do not truly realise there value for many years, if at all. If this pack had been implemented correctly in the first place, ie full surveys on a property this may have been a step in the right direction but as is, it is yet another tax on property owners with no clear benefit to the property market. I am a solicitor specialising in property work in a small but busy market town in Shropshire. Since the implementation of HIPS for the 3 and 4 bedroom properties there have been a sharp reduction in the number of those properties being put on the market even after taking into account a general reduction in the number of properties being marketed due to other factors. The reduction in the number of 3 and 4 bedroom properties being placed on the market is disproportionately larger than the reduction in the smaller properties. Everyone in the business knows this and therefore Yvette Coopers comments suggesting that the effect of HIPS on the market has been minimal is particularly unwelcome. With first hand experience I can say without doubt that most sellers are not at all happy about having to pay extra fees to put their properties on the market and for some the extra cost has been the "last straw" causing them to decide against marketing. This problem will become much more acute with the introduction of the requirement for a HIPS on smaller properties and I believe that new marketing instructions will hit a brick wall in December 07. Apart from the Energy Performance Certificate there is nothing in the packs which a buyer needs to be concerned about in deciding whether to purchase a particular property and most purchasers are not even interested in them. When will the government have the courage and honesty to admit that this bungled policy has failed? Probably only when a severe housing recession has been caused for no benefit to the public. Hips is good news for everybody. Would you buy a car without an MOT?NO. So buying a House with a Hip is the same as an MOT on a car.A Hip will ensure the seller gets his House in order before he sells.This is good for us all.We can buy with the knowledge the House is in good nick or a reduced price if works are needed. It,s about time the Housing Industry have a STRUCTURE that should be followed. I am currently training to be a Domestic Energy Assessor to carry out the EPC's on properties. The amount of cost and study involved has been an eye opener. As you would expect I find the EPC's an excellent idea. Only qualified, accredited DEA's can carry these out. What does annoy me is the prices charged for HIPS by agents and other companies. One of the fundamental parts of the HIPS is the EPC a lot of other information being added seems to be justifying the amount charged to the home ownerand to "bulk" up the report. I think you are all missing the point. This government is committed to the eu and the wider world to cutting co2. they dreamt this up to collect the data without it costing them anything. He is a clever bugger that Gordon Brown. Look at the previous comments. Read the press and read what the RICS and NAEA say. 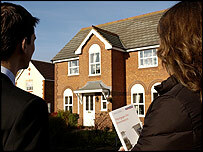 Listen to what estate agents say about public reaction. Then look seriously at what Yvette Cooper says. The whole thing is a complete shambles. Cooper is wrong, there is no saving on searches. No agent has experienced an instance when a buyer has requested sight of a HIP. No vendor reports that the spending was valid or helped. The only positive response is to the EPC (Energy Performance Certificate) this is what people want, why dress it up with a flawed and failed pack that became watered down from day one? The biggest delay for London property transactions, pre and post HIPs, is gathering leasehold management information from third party companies with no timescale motivation. Now that this is required for all properties being marketed, instead of all sales proceeding, these companies will greatly increase the amount of money charged for this information. Who regulates these companies? How do we stop money being extorted from flat owners for what essentially should be public accounts? As fas as I understand the responsibilty to gather this information will rest with the Estate Agent, what authority will they have to enforce speedy replies from managing agents? - Well thought through everyone. The searches provided for HIPs are only valid at the instant they are provided. Mortgage lenders and buyers soliciotrs are generally happy to rely on searches not more than 3 months old. There is significant duplication of cost as it will become fairly normal for searches provided with a HIP to be more than 3 months old when exchange of contracts takes place, thereby necessitating carrying out further or updated searches and doubling the cost. Further, how many times does a sale fall through because of discovery of information contained in HIP? Is this not an expensive sledgehammer to crack a nut? We sold our 4 bed property in August and because we decided to do so after the deadline we needed a HIP. I can't see if it was any use at all - I've no idea what it contained as we never got sent a copy. It all seemed just another way of making money out of us. The energy survey was a joke - the inspector asked us questions like do you have cavity insulation - er shouldn't you know you're the expert? He also checked to see if we had energy saving light bulbs - what use this was to the buyer I don't know as we took them with us and replaced them with standard lightbulbs!! Kevin Geraghty-Shewan, Gillingham kent I am a potential buyer and I welcome these packs. It will stop people wasting my time and money ie survey when they are only testing the market. How can there be are a lot of outraged people in Brighton & Hove when in less than two years a shabby little terrace will sell for about 100K more. They can make a huge profit like that and complain about a few hundred pounds. People are holding back from buying because of stupid prices and affordability NOT interest rates, hips, credit crunch or anything else. The HIP that has been provided for the property I am hoping to buy is filled with disclaimers to every fact that it asserts. So where is says the house has an energy rating of "D", based on "Cavity Wall Insulation Fitted (Assumed)" just what value am I supposed to take from it? When I bought my last house, the searches returned similar assumptions about the cavity walls - couldn't we have conceivably gone on assuming without all this song and dance? Yes, the buying and selling process in this country needed overhaul, but HIPS are not the answer!...yes, keep EPC's thats not a problem but the rest takes too long to compile, is restrictive and not relied upon by anyone. But it does create a lot of VAT so there I suspect is the answer. Do not understand why the Government does not listen to the RICS or the NAEA when both have plenty to gain from a more efficient marketplace. To even quote someone from AHIPP whose very existance is threatened should HIPP's be cancelled is farcical. As to helping to save energy - does Ms Cooper know how much paper [i.e.trees and energy] have already been wasted on HIPPs? Does she realize how long the average lease is and how difficult it is for the average person to read? I suspect she is very ill informed.